Lately I’ve been playing around with Fiddler (version 2.3.4.4). 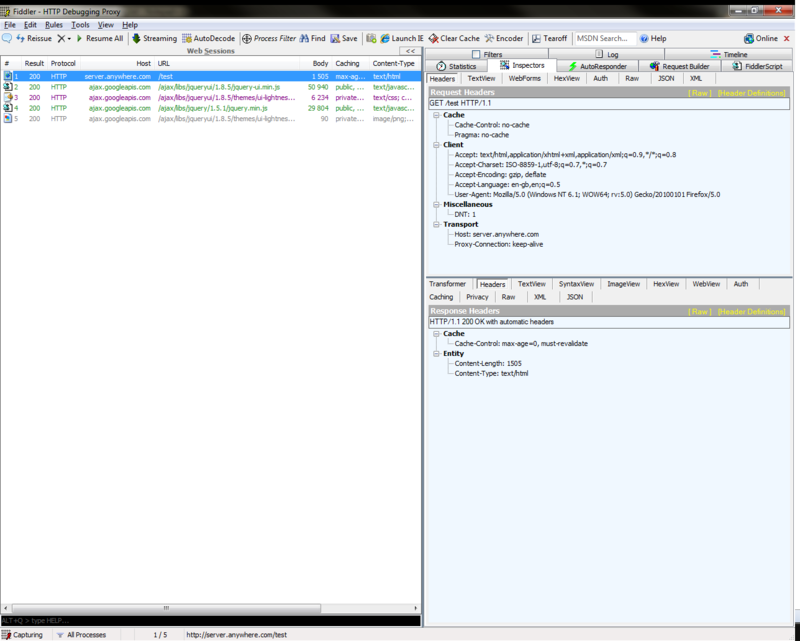 Fiddler it is a free packet analyzer for web debugging HTTP and HTTPS traffic. It acts as a proxy between your web browser and a web server so you direct your web browser to it using a plugin (for Firefox) and it enables you to analyze and tamper with the HTTP requests and responses between the server and client. Very cool and very useful. Although Fiddler is packed with lots of useful functionality for analyzing and tampering with HTTP traffic I also found a new use for it when working with jQuery and JSON. Fiddler includes something called AutoResponder. 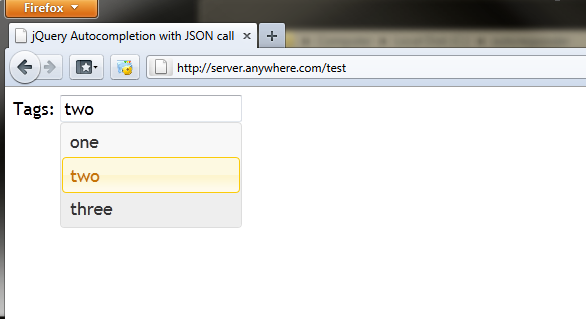 As the name gives away, you use it to automatically send a response to a calling browser client. The idea is to get Fiddler to intervene and return something useful when the browser makes a request for a particular URI. In my case I was aiming at making Fiddler return static JSON to the browser when making a call to http://server.anywhere.com/json. I created the contents of a HTTP response that I wanted to be returned to the browser in a file and stored it to disk. Then I redirected the AutoResponder to return this file when the browser request was made. I made no modifications to my hosts file. Very simple really. As you can see from the screenshot above. I have configured two URIs. One is for the index.html file and the other for the JSON “service”. When one of the URIs is hit by the browser the corresponding file on the file system will be returned. The AutoResponder also lets me set latency so I simulated a 3000 ms sleep for the service before responding. The tricky part was actually making a valid HTTP file for the JSON service. In my case it looked as shown below and saved as UTF-8. For this purpose I found Notepad++ to be very useful. When selecting the actual HTTP content text in the file it tells you exactly how many bytes are needed as value for the content length header. In my case it was 87 bytes. Now, when opening the browser and making a call to http://server.anywhere.com/json the AutoResponder will step in and return the JSON to the browser. The code I used for invoking the call to return the JSON is shown below. Of course this code ignores what is typed in the input field and results the same JSON regardless, but for my purpose that’s okay. Maybe a little clumsy to set up, but once done you can tweak everything in the files and no need to deploy any code or install any servers. I thought it was a nice touch that the AutoResponder can simulate latency so you can test any timeout functionality on the client side without having to add thread sleeps which usually is the case for service development. I am really happy with Fiddler. I have used WireShark in the past, but for working with HTTP traffic it is a little too heavy. Fiddler has a lot of interesting features for web development and analysis work.